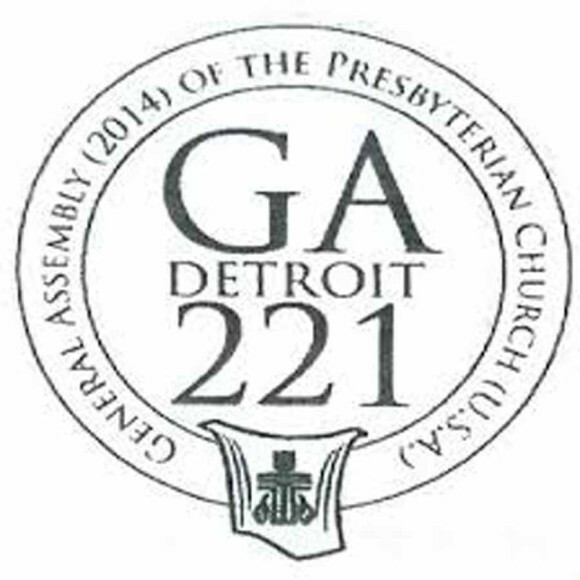 Presbyterian Divestment Redux: All Eyes on Detroit! While the public criticism and upheaval over BDS continues apace, this movement is slowly and inexorably tallying victory after victory. Last week, the Gates Foundation announced that it was fully divesting from G4S – a British/Danish security firm that has been severely criticized for its operations in the occupied Palestinian territories and in prisons and detention centers in Israel, including those housing children and “administrative detainees” held without charge or trial. Now just this week, we’ve learned that the United Methodist Church – the largest mainline Protestant church in the United States – will be pulling all its investments from G4S as well. This news is huge – and a dramatic precursor to the General Assembly of the Presbyterian Church (USA), which will be convening in Detroit next week. I can’t help but think the BDS tide is turning significantly, particularly in the arena of church divestment campaigns. I’ve long participated with colleagues in Protestant church groups who have been actively involved in promoting the principled and targeted divestment of their denominations’ funds from companies that profit from Israel’s illegal and oppressive occupation of Palestinians. I was, in fact, an active supporter of the divestment “overture” brought to the last Presbyterian GA two years ago and wrote extensively about these efforts. I support this resolution without reservation and urge other Jewish leaders and community members to do so as well. I am deeply dismayed that along every step of this process, Jewish community organizations (among them, the Anti-Defamation League, the Simon Wiesenthal Center and the Jewish Council on Public Affairs) that purport to speak for the consensus of a diverse constituency have been intimidating and emotionally blackmailing the Presbyterian Church as they attempt to forge their ethical investment strategy in good faith. It is extremely important to be clear about what is at stake here. First of all, this is not a resolution that seeks to boycott or single out Israel. Divestment does not target countries – it targets companies. In this regard speaking, the PC (USA)’s ethical investment process seeks to divest from specific “military-related companies” it deems are engaged in “non-peaceful” pursuits. We’d be hard-pressed indeed to make the case that the Israeli government is engaged in “non-peaceful pursuits” in the Occupied Territories and East Jerusalem. I won’t go into detail here because I’ve been writing about this tragic issue for many years: the increasing of illegal Jewish settlements with impunity, the forced evictions and home demolitions, the uprooting of Palestinian orchards, the separation wall that chokes off Palestinians from their lands, the arbitrary administrative detentions, the brutal crushing of non-violent protest, etc, etc. All Americans – Jews and non-Jews alike – have cause for deep moral concern over these issues. Moreover, we have cause for dismay that own government tacitly supports these actions. At the very least, we certainly have the right to make sure that our own investments do not support companies that profit from what we believe to be immoral acts committed in furtherance of Israel’s occupation. As the co-chair of the Jewish Voice for Peace Rabbinical Council, I am proud that JVP has initiated its own divestment campaign which targets the TIAA-CREF pension fund, urging it to divest from companies that profit from Israel’s occupation. Among these are two of the three companies currently under consideration by PC (USA): Motorola and Caterpillar. Why the concern over these specific companies? Because they are indisputably and directing aiding and profiting the oppression of Palestinians on the ground. Caterpillar profits from the destruction of Palestinian homes and the uprooting of Palestinian orchards by supplying the armor-plated and weaponized bulldozers that are used for such demolition work. Motorola profits from Israel’s control of the Palestinian population by providing surveillance systems around Israeli settlements, checkpoints, and military camps in the West Bank, as well as communication systems to the Israeli army and West Bank settlers. And why is Hewlett-Packard under consideration for divestment by the PC (USA)? HP owns Electronic Data Systems, which heads a consortium providing monitoring of checkpoints, including several built inside the West Bank in violation of international law. The Israeli Navy, which regularly attacks Gaza’s fishermen within Gaza’s own territorial waters and has often shelled civilian areas in the Gaza Strip, has chosen HP Israel to implement the outsourcing of its IT infrastructure. In addition, Hewlett Packard subsidiary HP Invent outsources IT services to a company called Matrix, which employs settlers in the illegal settlement of Modi’in Illit to do much of its IT work at low wages. I repeat: by seeking to divest from these companies the PC (USA) is not singling out Israel as a nation. The Presbyterian Church has every right to – and in fact does – divest its funds from any number of companies that enable non-peaceful pursuits around the world. In this case specifically, the PC (USA) has reasonably determined that these particular “pursuits” aid a highly militarized, brutal and oppressive occupation – and it simply does not want to be complicit in supporting companies that enable it. I encourage you to read the entire post, which also includes a detailed history of the process undertaken by the Presbyterian Church (USA). The current overture, like the one two years ago, seeks divestment from the same three companies: Hewlett-Packard, Motorola and Caterpillar. And inevitably, like before, the overture’s sponsors and their supporters have been subjected to an unrelenting barrage of criticisms and accusations from certain quarters of the Jewish establishment. I am particularly dismayed to learn that J St. – ostensibly an anti-occupation organization – is once again joining forces with those who hope to quash this principled, good faith proposal. But now? What argument can an anti-occupation movement make to the Presbyterian Church in June 2014 about why it should not divest from Caterpillar’s bulldozers, Hewlett-Packard’s ID system for Palestinians and Motorola’s surveillance machines? Because it would interfere with U.S. diplomacy in the Middle East? Because it would harden the Netanyahu government’s stance in the peace talks? From an anti-occupation perspective, what is there to lose by a Presbyterian Church vote for divestment? Nothing. But what is there to gain? A blow against injustice, the kind that has been scaring the Netanyahu government and Israel lobby like nothing else — certainly not the Obama administration — which is a very good sign that the BDS campaign is on to something. With the failure of the peace process and Israel’s recent announcement of 1,500 new settlements, it is clear that political pressure has been utterly ineffective in bringing a just solution to this unjust occupation. Why then, must we block attempts at the popular, nonviolent pressure tactics such divestment – particularly when such efforts have been demonstrably effective in other parts of the world? I will be posting much more about the divestment overture at Presbyterian GA in the coming week. Stay tuned. This entry was posted in American Jewish Community, BDS, Christianity, Human Rights, Interfaith, Israel, Jewish Community, Jewish Voice for Peace, Palestine, Peace, Peace Process on June 13, 2014 by Rabbi Brant Rosen. I see this as a very positive move, hopefully one that will begin to tip unquestioning support for Israel to insisting that Israel cease and desist its attempt to ethnically cleans Palestine (including Israel) of Palestinian people.